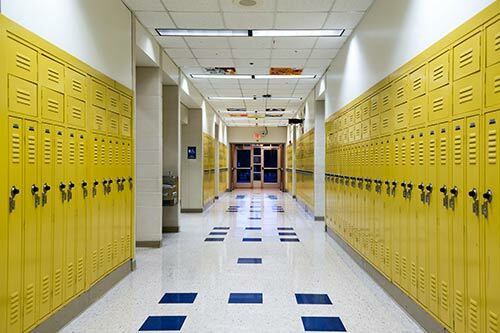 Academic facility safety is a major concern and a properly implemented video surveillance system can be a critical part of the facility's security system. A video surveillance system can both help prevent bad behavior and allow you to react quicker to events. As a deterrent, prominently placed cameras warn students and staff that they may be monitored. This often stops bad behavior and vandalism before it ever happens. Fewer incidents means your students, faculty, and staff aren't exposed to potentially volatile situations as frequently. Being able to monitor the cameras in real time will also allow you to react to trouble faster, giving you the opportunity to intervene earlier. They can also catch thieves, vandals, and bullies in the act, allowing the school and police to positively identify all parties involved and see exactly what happened. Video surveillance systems are also useful tools when creating your visitor management system. Cameras can be placed at all building entrances to alert office staff when visitors arrive and leave. Campus Monitoring: Helps monitor the campus for trespassers and enables security to be dispatched to the correct location. Campus Security: Prevent students from acting out and/or misbehaving and deters criminal acts. Campus Safety: Prominent cameras, remote monitoring, and video recording all combine to help prevent incidents. However, when prevention fails, they also allow greater transparency into the actual events.